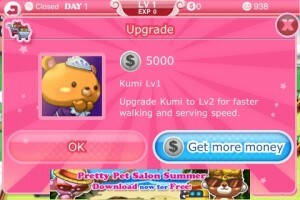 Home News Pretty Pet Tycoon 1.5 – Introducing the Juice Cafe! 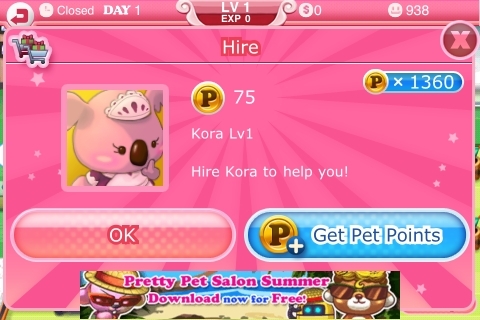 Pretty Pet Tycoon 1.5 – Introducing the Juice Cafe! Behold the grand opening of Pretty Pet Tycoon‘s new Juice Café, where we’re introducing a new style of gameplay that requires even more concentration! It’s time to share your tasty fruit juice to the world, one thirsty customer at a time! When customers enter your café, show them to their table and take their order. Your customers are picky, so you’ll have to pay attention to the type of juice they want. Deliver the right type of juice to each guest, and remember to clean up after they’re done. Once in a while, you’ll have to show them where the “washroom” is – all that juice has got to go somewhere! If you want to earn cash faster, create more “perfect juice” in your Juice Factory to get more VIPs to visit your Juice Café. You’ll also find 6 new characters in the Juice Café. 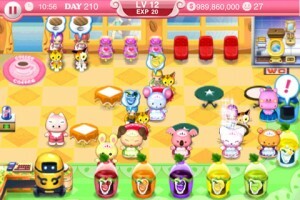 Run your café better by getting help from any of these adorable new staff! Some balance changes were made for all maps. Obtaining higher-level facilities will increase the waiting time of the seeds, goods, and customers. Good luck on beating the higher levels! Grab the update now to see the changes for yourself. Have fun with your new Juice Café!